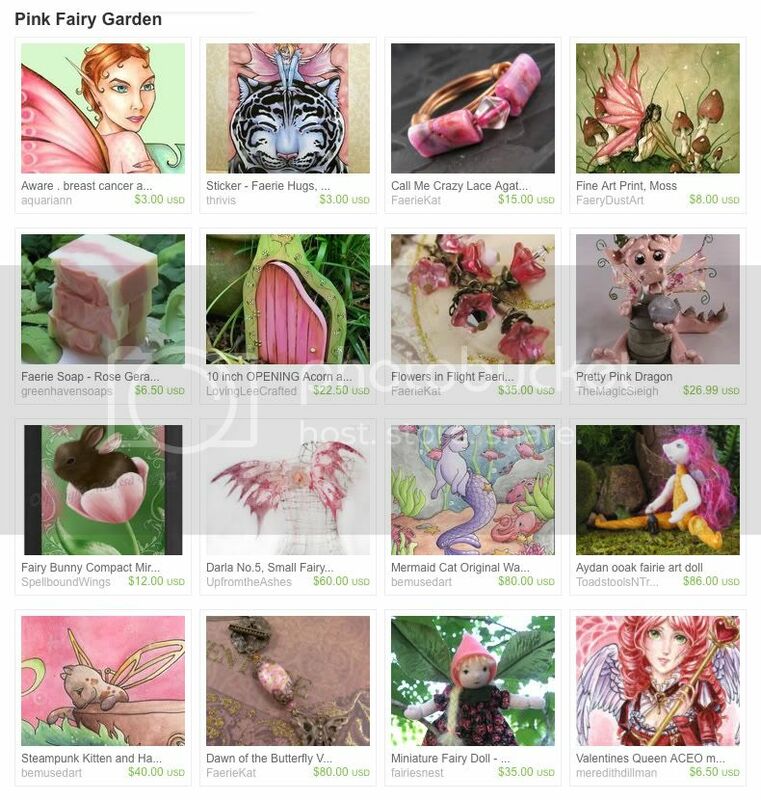 Fellow Fantasy Artist of Etsy, Kelly of She's That Girl Soap Shop invoked the power of pixie dust and a magnet of my breast cancer awareness fairy Aware was amongst the pretty handmade items that fluttered forth. Such a pretty treasury! And I see one of my pixies peeking out there on the bottom row! So many cute items. I started with the magnet, as Breast Cancer Research is so vital to all women. Wow, how cool is that! Very nice work FAE! !